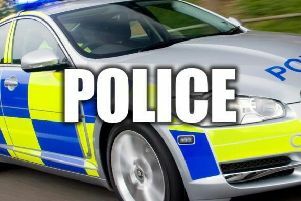 A Lancaster man has been fined after being caught over the limit behind the wheel of a car in Dalton Square. One of the country’s top police officers was in the right place at the right time when a Lancaster man got behind the wheel while drunk. Stephen Walsh, 57, of Low Road, has been disqualified from driving for six months and fined a total of £1,691 after he was found guilty of being drunk in charge of a motor vehicle. It comes after he was spotted by Chief Constable Stephen Watson – the highest-ranking officer at South Yorkshire Police – at around 8.45am on December 17, in Dalton Square, Lancaster. Chief Constable Watson was off-duty at the time, and was parked up in his own vehicle in the square, but stepped in when he saw Walsh acting strangely as he climbed behind the wheel of his Porsche Cayenne. Lancashire officers were called and attended the scene. Walsh was later charged with being drunk in charge of a motor vehicle, after giving a breath reading at Lancaster police station of 78mgs of alcohol in 100mls of breath. PC Steve Wood, of the Roads Policing Team, said: “Mr Walsh should not have got behind the wheel of his car after consuming enough alcohol to take him well over the legal limit. He would have put lives at risk had he driven anywhere and it is thanks to Chief Constable Watson that we were alerted. “We are pleased that the courts have taken this incident as seriously as we did and have handed down a driving ban and a hefty fine. Walsh appeared at Lancaster Magistrates Court last Tuesday (January 17), where he was fined £1,538, plus a victim surcharge of £153. He has been disqualified from driving for six months.